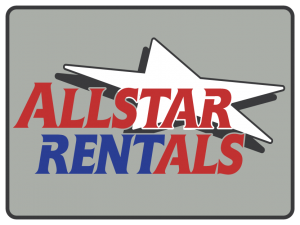 Welcome to the AllStar Rentals website. AllStar Rentals is located in Elkin, North Carolina in the heart of the Yadkin Valley. We have designed this website to be an interactive tool to assist you in identifying the right equipment for your task. We have a large selection of both equipment and event rentals. You will see pictures, videos of operation and specifications, our rate structure, and much more information. The rates you see will be for minimum rental, daily rental, weekly and monthly rental. They include sales tax and damage waiver. Rates are not final until we have directly provided you a quote by phone, email, or in writing due to the number of possible variables. Thank you for considering us for your rental needs. We believe that by communicating effectively with our customers, together we can be more successful because we care enough to provide only the best service and high quality, dependable equipment. We have the equipment you need to get the job done! We can supply everything you need to set up your wedding or next event! We offer used equipment and tools for sale. Check often for updates!